This picture is possibly one of the most unexpected we've posted before. It's a cow of some kind eating a rabbit. How did this comic situation come about? 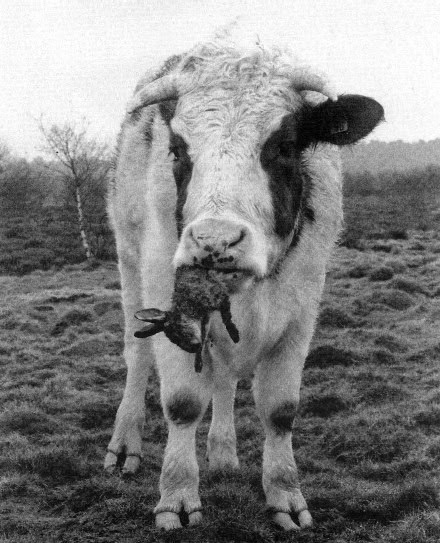 Did the cow sneak up on the rabbit and stomp it with a hoof? Or did it find it dead and get curious as to what rabbit fur tastes like? What does the bovine beast think about how the rabbit tastes?